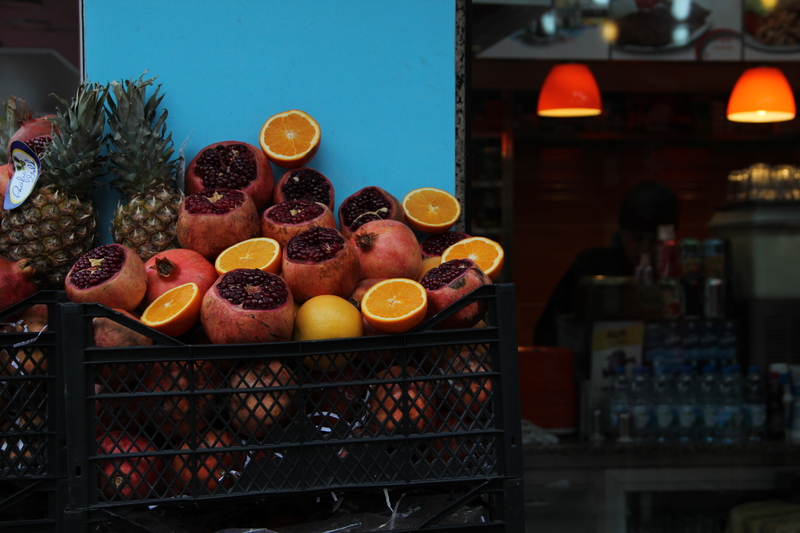 Pomegranate and orange juice, my vacation obsession. You can tell a lot about a person by how many unread messages they have in their email inbox. Don’t you think? This profound thought brought to you by a five-day hiatus from Facebook whilst staring out a window during a break from video editing. There are so many cafes here—that’s another fact about life in Jordan. I think it’s all I do in my free time, post up in a coffee shop somewhere and busy myself with some kind of computer-based project. Where I’m based today, they’re playing M.I.A little too loudly. It’s also a little too trendy for me, as I delicately sip my Americano and wish I could afford sound-cancelling headphones. However, I can’t even complain. It’s 74 degrees, dry and sunny, and the breeze makes my eyes close and toes curl up against the bottom of my shoes. Spring has arrived, alhamdulillah. 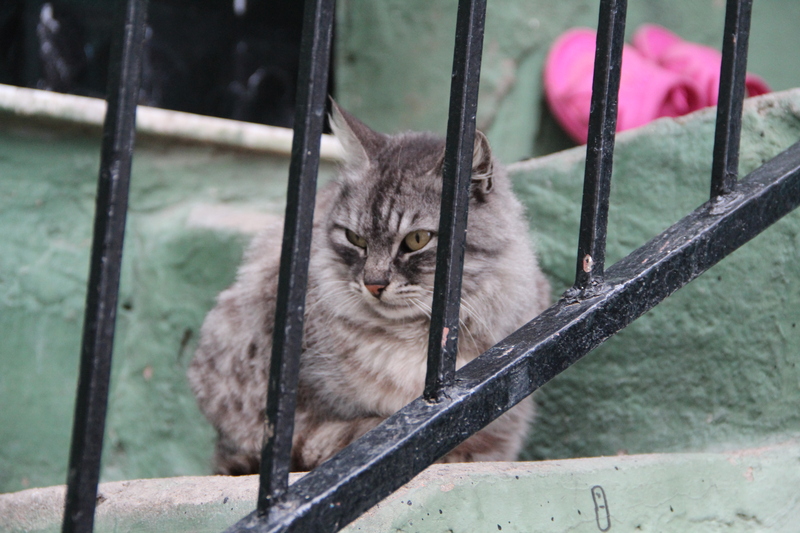 This cat was so grumpy I had to snap a photo. Tee hee. 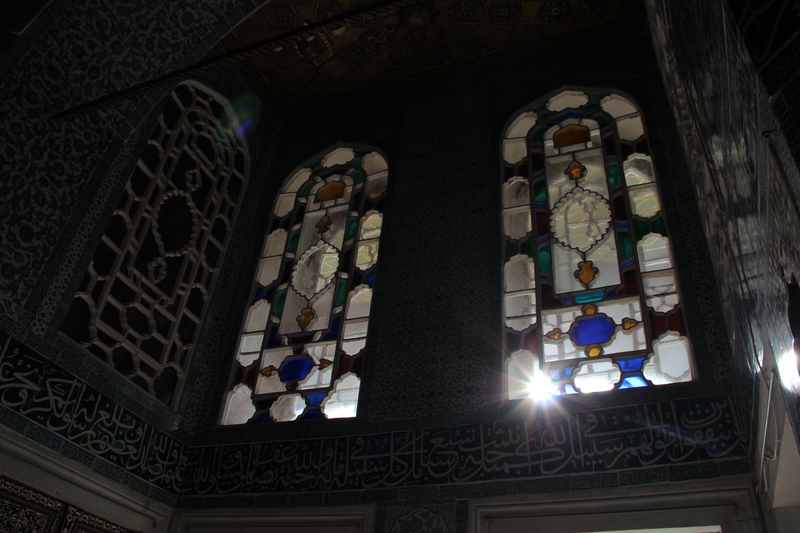 Stained glass in Topkapi Palace. The thought that I’ve been here for nearly seven months hit me like a truck last week. Really, like a truck. It sent me reeling into a reflection over what I’ve actually accomplished here, and I cried a lot. called my sister repeatedly. hugged a jar of Nutella to my chest. took a deep cleansing breath and held it together marvelously. The reality is, if I ponder the things I’ve done here and where I am emotionally in terms of being ready for “real life” to start next year, I find myself falling short of my expectations. I’m not as far along in my Arabic study as I’d like to be. I haven’t been actively pursuing chances to report on a volume of stories. I don’t feel like I am an effective teacher. I cry probably once a week over something silly and insignificant. I spend too much money on manicures. And so on. There is a laundry list of activities that I improperly allocate my time to. For example, I shouldn’t have ended that last sentence with a preposition. Isn’t that a rule? Wouldn’t I have known that if I had devoted more time to learning English grammar? Which brings me to the quick point of this post. There are always going to be things that I wish I had done, and regrets that I desperately want to erase. This is true for every situation and every phase of life—whether it’s a Fulbright year in Jordan, or four years in undergrad, or the first six months of a job, or whatever. When viewed through the proper self-depreciating lens, there will forever be a way to make it seem like your ambitions are overreaching well past your capacity to actually achieve them. I want to bring my faith into this discussion, if only slightly tangentially. I think one of my favorite things about the Christian narrative is the notion of redemptive grace–this freely bestowed divine love and protection, regardless of our merit or goodness. I’m effectual with the whole God-loves-me-no-matter-what dialogue, this truth sinks in easily; however, I fail pretty epically at extending this same grace to myself. There is some kind of disconnect along the way. Yet, I wonder how much happier I’d be if I really internalized this notion and tried to instill it in my life. There must be some healthy medium between holding yourself to high standards, and feeling the dead weight of crippling ambition all the time. Why haven’t I found it? Grace, as defined in Christian theology, is divine and sanctifying. It purifies, and makes all things good and holy. And it is an undeserved, extravagant kind of love. Maybe it’s the new Bible study I’ve joined, or finally getting tired of feeling the burden of imaginary disappointment, but I think it’s time to actually discern how to begin treating myself with this same grace. Amazing Grace. I once was lost, but now am found, was blind but now I see. 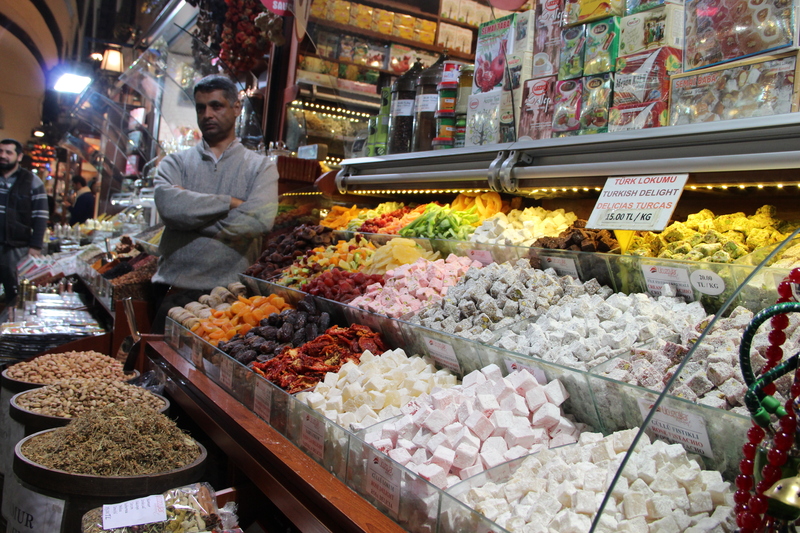 Istanbul Market. Can’t get enough of this stuff. Nothing true can be said about God from a posture of defense. 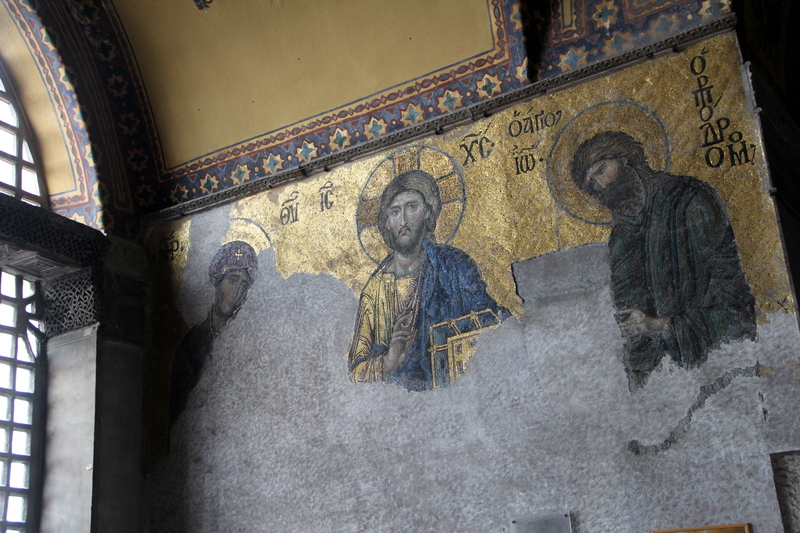 Hagia Sophia: a church turned mosque in the 14th century.